Quite honestly I have received so many Veteran’s Day Specials to post that I had to find a way to make it easier for you to find them. Listed below are just some of the Veteran’s Day discounts that are available at most locations nationwide. 1. Sleep Number will offer free travel pillows (while supplies last) to active and retired military personnel who visit any of the 400 Sleep Number stores nationwide to ensure they get the rest they need no matter where they lay down their heads. Sleep Number will also offer $700 off the Sleep Number i8 and p7 bet sets plus 36 months financing, free standard shipping on all beds, and 30 percent off ALL Sleep Number bedding solutions. These deals are exclusive to all active/retired military personnel from October 30 through November 20. 6. Not only can military join Massage Envy locations and save $69 a year , they are also offering (at select locations so call to check) one hour massages to service members, spouses and veterans. Requires an appt! 8. I love Bloomin Onions and I have a feeling we might be heading to Outback to get one! In honor of Veteran’s Day, Outback is giving away a FREE Bloomin’ Onion and Coke to all active military and veterans.Must present valid form of military ID. 10. Applebee’s is also offering free meals: “All U.S. veterans and active duty personnel with proof of current or former military service will be treated to a free meal at all Applebee’s in their respective neighborhoods on Veterans Day, Friday, Nov. 11, 2011. Proof of service includes the following: U.S. Uniform Services Identification Card, U.S. Uniform Services Retired Identification Card, Current Leave and Earnings Statement, Veterans Organization Card, photograph in uniform or wearing uniform, DD214, Citation or Commendation. 13. 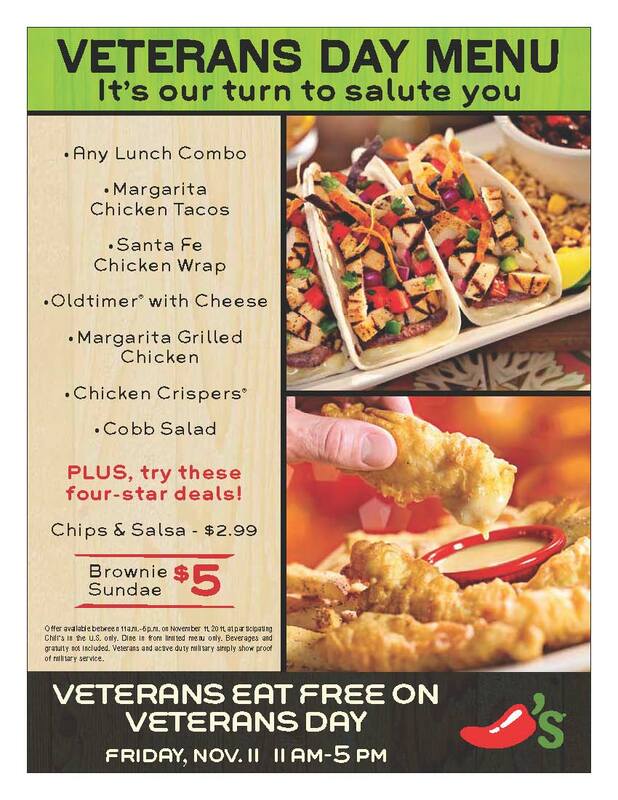 TGIF is joining in the Veteran’s Day offers and giving service members one free entree with the purchase of a paid one. “Buy one entrée, get one entrée free. 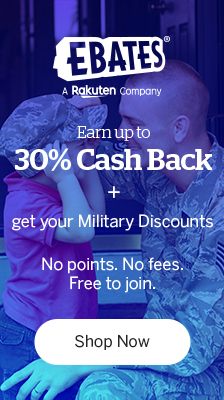 Offer valid for all active U.S. military personnel and veterans. Must wear uniform or present a valid military or veteran’s identification. Offer not valid with any other coupon, offer, promotion, or discount, including 3 Course Menu, $8/$9/$10 promotion, Dinner and a Cold One and Pick 2/Pick 3, Promotional Gift Card. 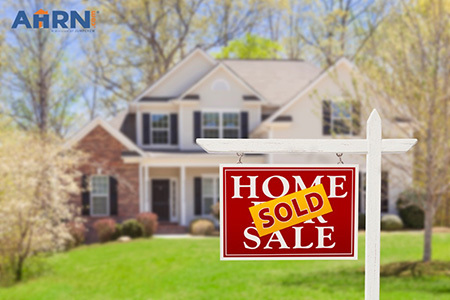 One offer per person, per visit. Valid on regular priced items only. Valid at participating locations. Dine-in only. Discount applies to item of equal or lesser value. No substitutions. Limited time only. Not replaceable if lost or stolen. Unless required by law, coupon cannot be redeemed for cash. No cash value. No photocopies accepted. Tax and gratuity not included. Not for resale. Offer valid in U.S. only. © 2011 TGI Friday’s Inc”. Visit their Facebook Page for more details. 16. Gotta love Krispy Kreme and on 11/11 all service members past and present can get a free donut. Call to verify your local KK is participating. 17. Many Subways nationwide are offering free 6-inch subways to Vets on 11/11…Be sure to call to verify your local chain is participating. Know any other Veteran’s Day national discounts? Feel free to list them below in the comments section! « Army Wife 101 Is Who She Is: Like it Love It Or Shove It…The Joys Of Being A Blogger! RI Photographer offering discounted sessions and free prints to veterans, and active members and their families, all this week! 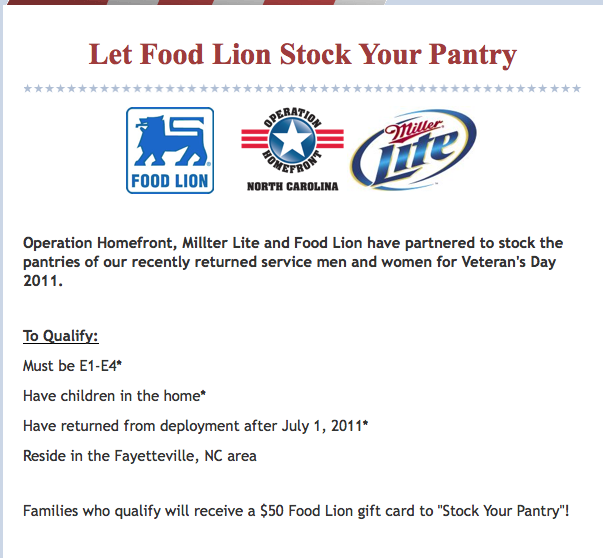 Thanks for this list, you’re doing a great service for military families! Thanks for compiling this list. 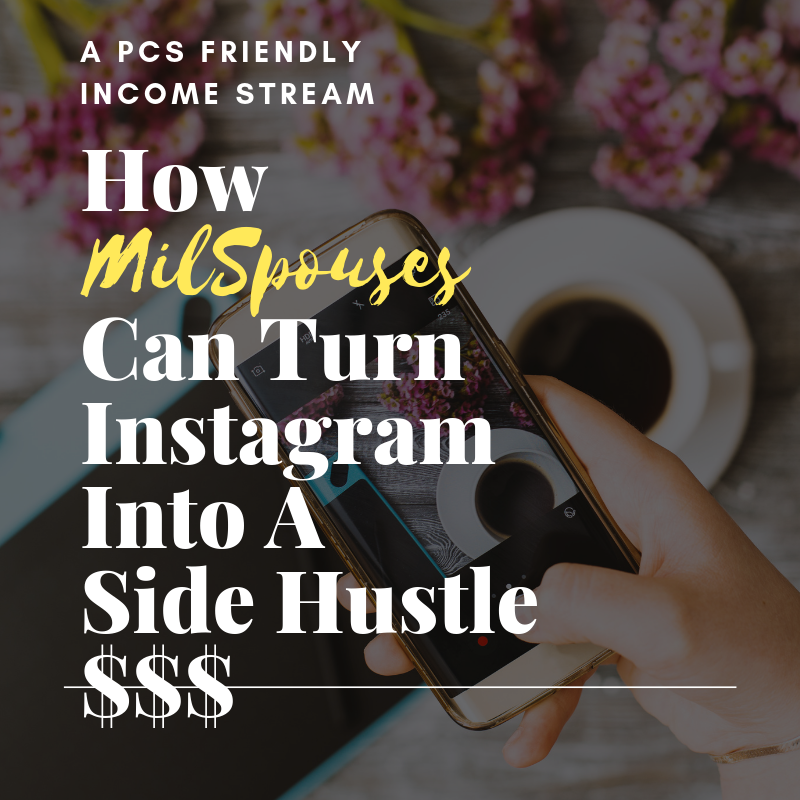 I will share your link on my facebook page and blog. you can giive too your love one is stainless teel jewelry. button, nose, lips, and ears and on any other body part by piercing your skin. The trend’s picking up with men, as they find it masculine in comparison tto gold or any other metal. Since it involves piercing a flat area of the skin, it is considere a surface type of piercing. the most interestring on the market yet.